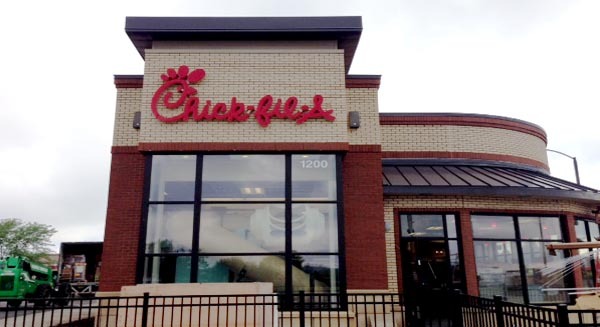 Peter Schwabe constructed a 4,791 sq ft Chick-fil-a restaurant in Burnsville, MN. A former Champps restaurant was demolished for the new construction. The new restaurant is one of the last radius style metal roofs and includes an assortment of finishes.